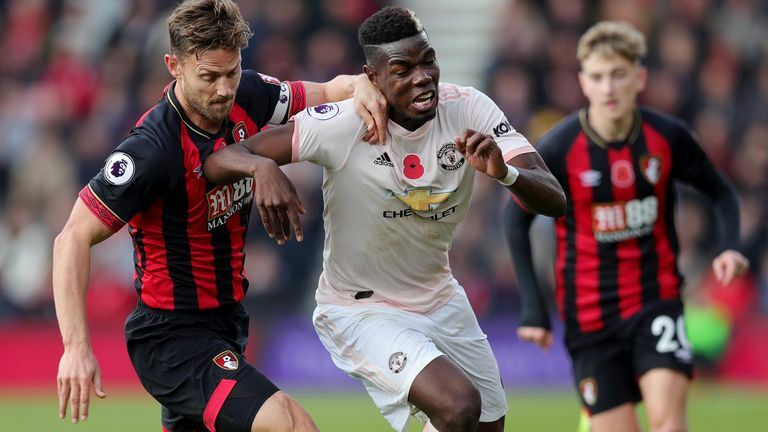 Jose Mourinho recognised Manchester United had been "very lucky" to win 2-1 at Bournemouth after an "awful" first-half display. Marcus Rashford's composed finish in the second minute of stoppage time at the end of the second half secured United's latest recovery from a losing position and their third victory from four in the Premier League, further easing the pressure on their manager. Anthony Martial's 35th-minute goal, his fifth from those same four games, had given the visitors cause for encouragement towards the end of the first half, during which they fell behind to Callum Wilson's 11th-minute finish and were consistently put under pressure. 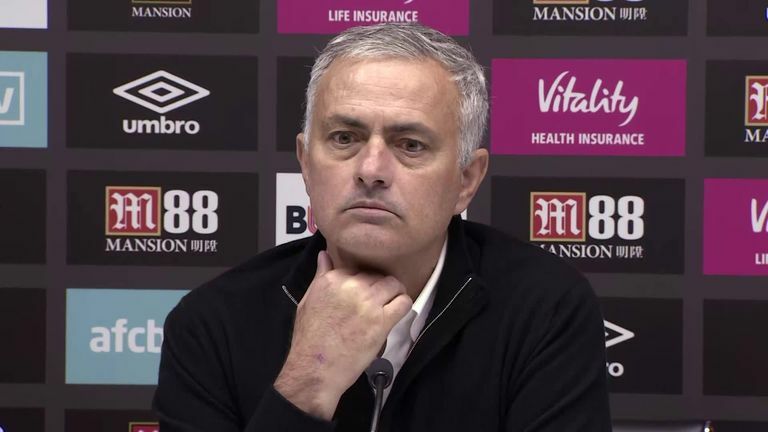 United remain outside of the Premier League's top four, but again have a sense of momentum and purpose that had eluded them earlier this season, and 55-year-old Mourinho told BT Sport: "We were a very, very lucky team. "It was a first half that could, should be, game over, 5-2, 6-2 easily, and in the second half until we scored I had the feeling we were a very unlucky team because we should score three, four, five goals. "We were really poor, defensively awful. And I do not just look to my defenders, as a team we did not start pressing up, the work we did during the week. "People watching this game will not believe how hard we worked this week. The first half was a disaster. "It is what we call a game of two halves. In the first half, Bournemouth were by far the best team and in the second half we were the best team by far. "We have fantastic character and the heart that any result, the game is not over and we go until the end. "I am trying to find the balance where we develop the team in the second, third phase of attack. When we are in control we have no problems, but when the opponent is in control we do." Ander Herrera was particularly influential after being introduced as a substitute for the second half, while Rashford similarly impressed from the bench, and Mourinho added: "[At half-time] I said it is impossible to play worse than we did, so the second half will be better for sure. "I was happy bringing Ander Herrera into the game. I felt we needed him to give more balance and to recover the ball faster. I was happy with that change. It was much better."